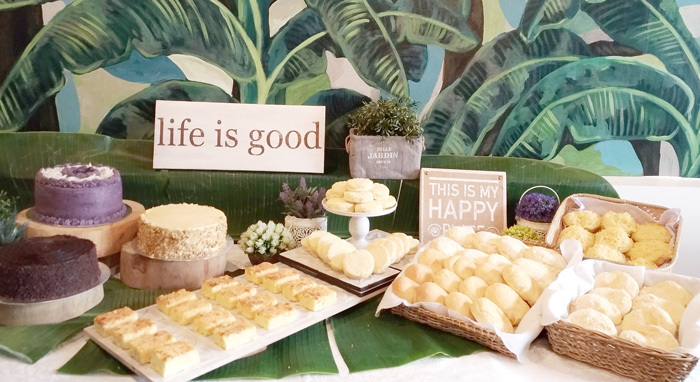 Following the successful launch of Patok sa Manok Tulip Drive branch, this Davao’s homegrown chain of restaurants now introduces delicious baked goods and melt-in-your-mouth pastries as part of their menu. I wasn’t able to join the online influencers and media launch on February so I made sure this time I’m around to sample what’s new for Davaoenos at PSM. 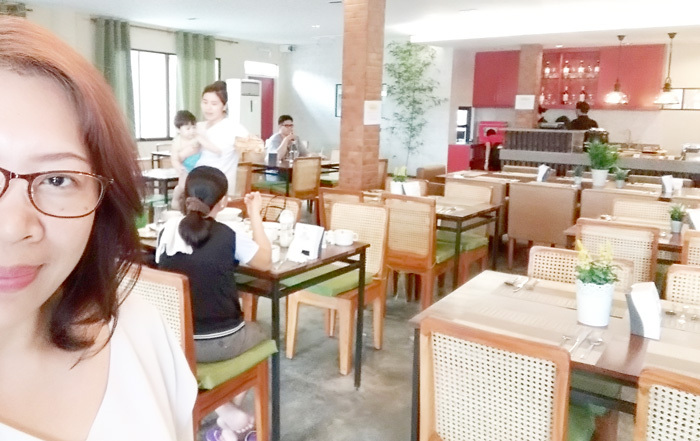 Other than the home-cooked style dishes PSM is offering their patrons right now, everyone can now enjoy a wide variety of to-die for pastries and must-try fresh-from-the-oven breads. Coincidence happen so they say. So on my birthday, PSM invited us to sample the pastries and breads they’ll be offering not only in PSM Tulip Drive but in all of their restaurants in the city. This homegrown family restaurant is currently in the works to expand and upgrade their existing branches all over the city with Tulip Drive branch as their flagship concept resto. So now join me as we dig into the delicious and sweet world of Patok sa Manok. 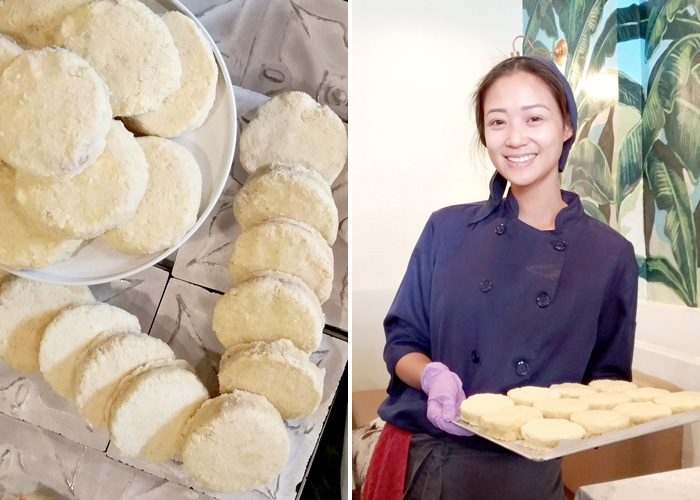 Chef Pauline Benedicto-Malilin with her toothsome silvanas. Oh, Silvanas! This frozen buttercream coated cookie is just what everyone needs after a round of hearty meal at PSM. They come in two variants, the classic and the durian. And here's the deal, they’re not as expensive as what you think they are. The Classic is only P15/piece and the durian is priced at P20/piece. These Filipino favourites are also perfect for pasalubong and for take-homes. So sulit! 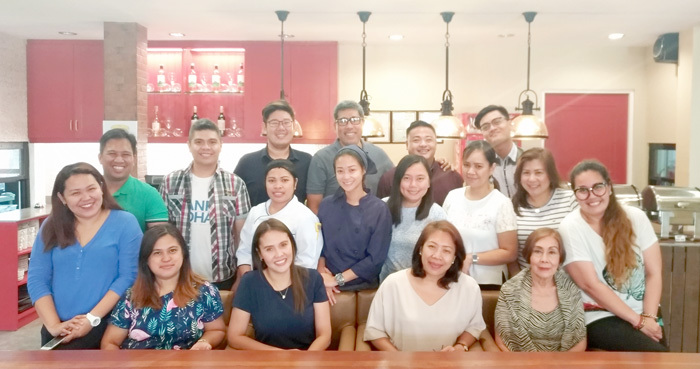 Chef Pauline Benedicto-Malilin informed us that PSM Tulip Branch will serve as the bakery commissary of all PSM branches in the city including supplying Rekado Restaurant, their sister company. This well-loved classic ensaymada will also be in the menu. 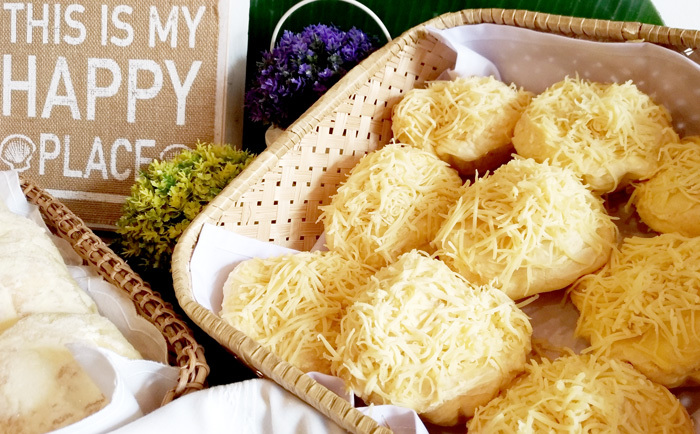 They’re soft and cheesy just how I want my ensaymada to be. They’re perfect paired with hot choco, coffee or tea. Perfect for pasalubong and take-outs too. The classic with sprinkled cheese all over is at P45/piece and the premium variant is priced at P60/piece. 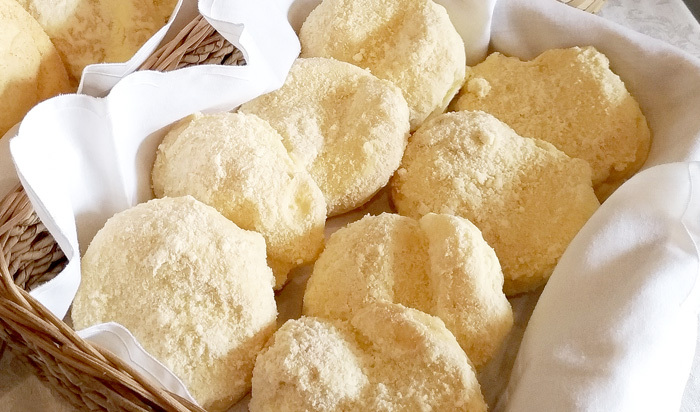 Patok Sa Manok Premium Ensaymada is soft, fluffy and melts in your mouth goodness. A piece or two of this, a good company, a cup of coffee or tea and you'll have a perfect day! 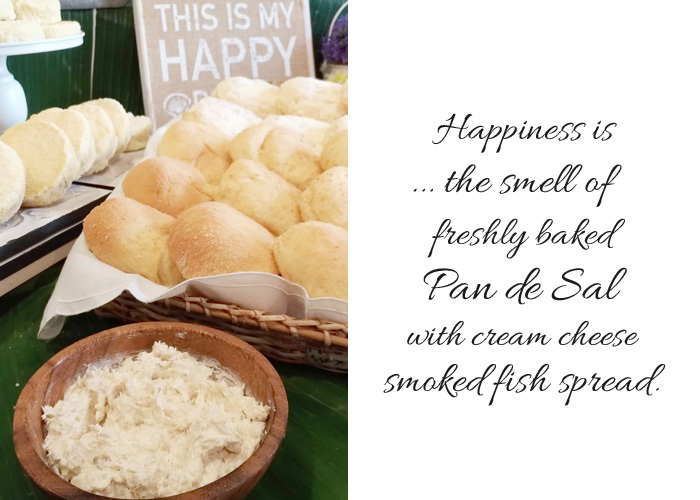 This quintessential bread roll of the nation, Pan de Sal is one of the must-trys at PSM. Forget about your usual ‘mantikilya’ for 'palaman'. At PSM, they’re served a notch higher with creamy and velvety smoked-fish cream cheese spread on the side. They’re really good. And what better way to polish-off your Pan de Sal than tear it and dunk it in hot smokin’ coffee? Yeah, guilty me! But don’t get me wrong that’s how we do Pan de Sal in Pinas! They’re coming fresh from the oven everyday at 11AM and 4PM. So don’t forget to drive by and have a piece or more of this classic. Nothing feels better than a smell of freshly baked bread, it warms the heart and truly feel us good, right? 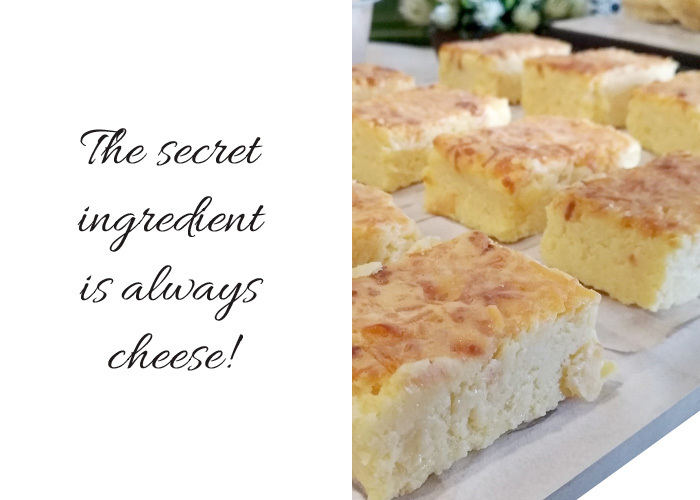 Chef Pauline’s version is moist, creamy and definitely cheesy. They’re a bit heavy on the stomach as they’re filling but the best way to go about this is to have a potful of tea on the side. If you love food adventure on the cheesy side, rope in PSM’s Cheese bar on your list. They’re perfect for pasalubong and take-homes too. What’s not to love about cakes? Life’s too short not to eat cake so they say, so let’s indulge! Patok Sa Manok has a good list of delectable cakes to choose to from. 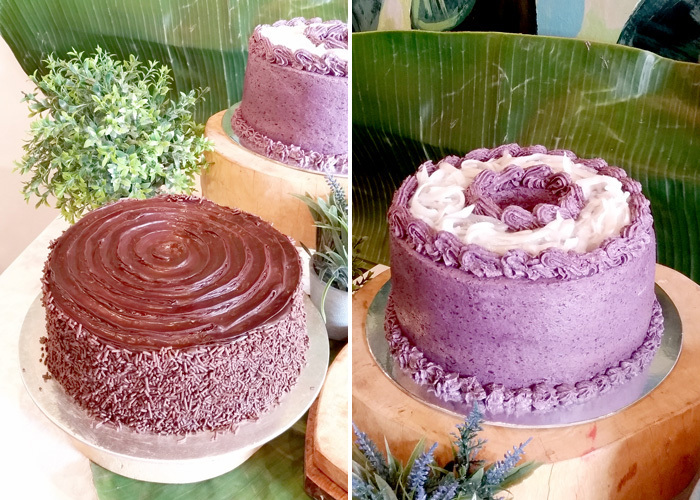 Starting off with this Malagos Chocolate Moist Cake (P600) and Ube Macapuno Cake (P770). They also have Coffee Cake (P725) Red Velvet Cake (P800) Mangosteen Dayap Cake (P1150) and many other pastries like Apple Pie, Happy Lemon Torte, Brazo de Mercedes, Dulce de Leche to indulge in. Let's make life a lot sweeter, cake is always the answer! 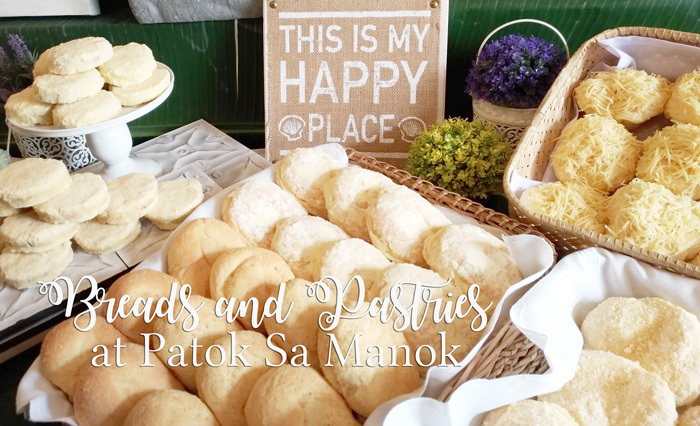 So if you’re looking for a well-brought-up place to buy your next bread cravings and pastry longings, Patok Sa Manok along Tulip Drive in Matina is now ready to serve you. They also have a private function room for private meetings and gatherings. Lastly, thank you Chef Pauline for putting up a sparkled pancit for my birthday, it was really cute, very much appreciated! at Patok Sa Manok, Tulip Drive in Ecoland, Davao City.